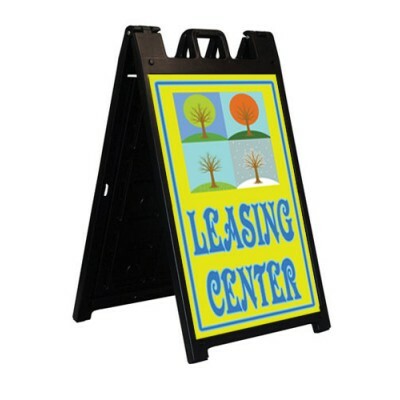 A large attractive, easy to handle A-Frame Sign. Our Large Easy A is a great solution when you need a large, portable sign in front of you office or on the street. 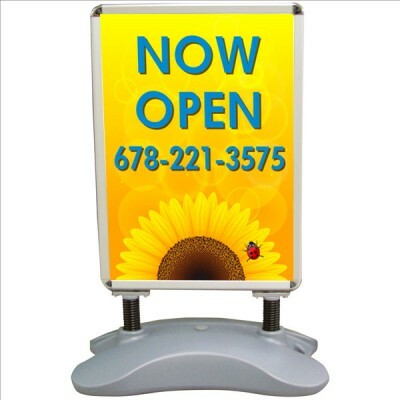 The curved sign channels accommodate a large 36" x 48" coroplast sign. The faces are easy to put into the unit and change easily. 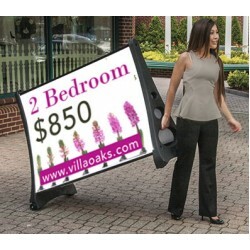 Moves in and out easily with recessed wheels. 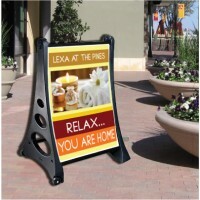 The sign is constructed of tough, technopoly construction in an attractive black finish. 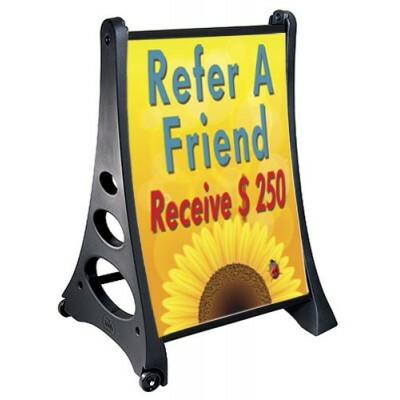 There is a ballast port that accepts sand or water for added wind resistance. Hidden security screws prevent the sign from being pulled out. Quick assembly takes less than 3 minutes with only a screwdriver.